After almost 3 years in hiatus, the pop culture event in the Southern Metro returns! Cosmic Con 2017! Red Cloud Interactive will be one of the official media partners for the event as it also brings it’s brand KPop Pilipinas to the event. What brings back Cosmic Con 2017? The organizer thought long and hard to consider relaunching the event due to multiple challenges and obstructions, but with careful consideration and demand for a 2- day fandom event in the area, it will finally push through. 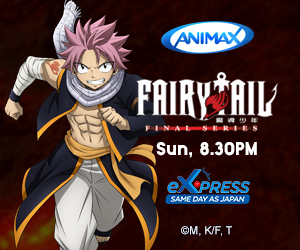 The event will be held at Ayala Malls South Park Alabang Muntinlupa. The event is co-presented by Blitzworks, Cospray, NCPH, KPOP Pilipinas and more are joining in. 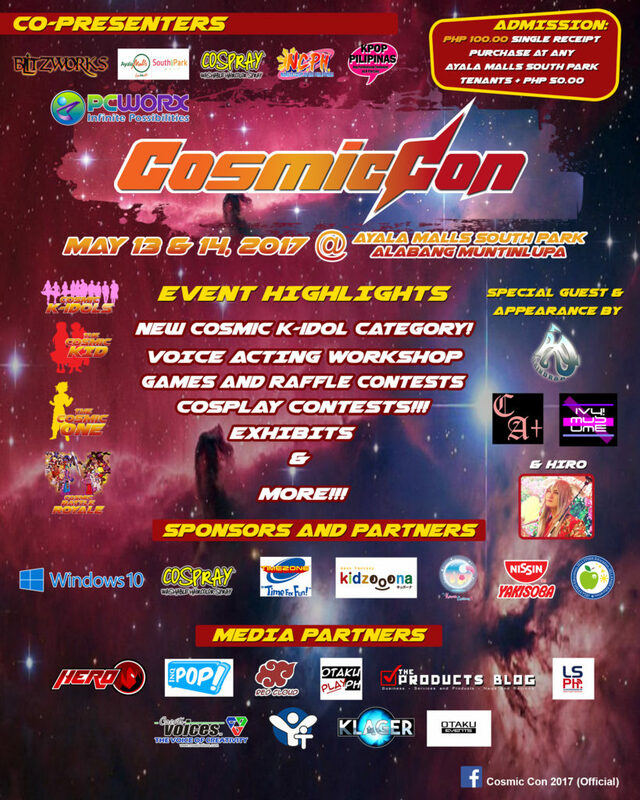 Cosmic Con has added a new segment for the Kpop fans, the Cosmic K-Idol contest, where Kpop fans will have their chance to express their fandom through various performances. The event will bring back the diverse Dance Pop Group RAINDROP led by Ross Diong, who is also a cosplayer, gamer, and costume maker. Ross will also be the special guest judge of the contest. Dance group IVY Musume and Class A Plus will also be present. 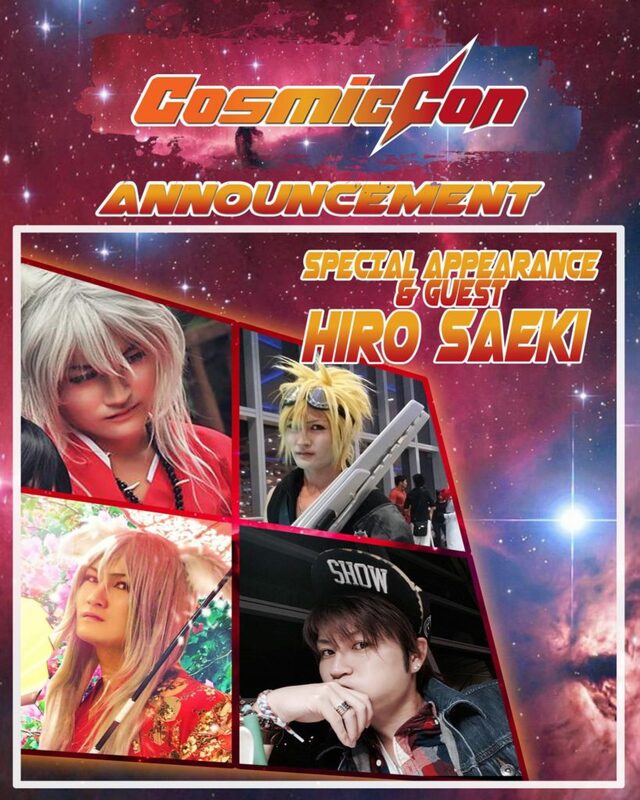 Hiro Saiki, a Japanese cosplayer will also be one of the guests and will be performing. He gained prominence in the Philippines not only because he is from Japan but also for his famous Inuyasha and Tomoe cosplay. Collectible displays, Food lanes, and cosplay contests are also back with new titles. Cosmic KID (Kdis Category), Cosmic Battle Royale (Group Category), The Cosmic One (Individual) and the new COSMIC K-IDOL (KPOP Category). Great prizes for raffle contest and games will be given away c/o sponsors, Windows 10, Cospray, Blitzworks, NISSIN Yakisoba, Timezone, KIDZOONA and many more! The event will be on May 13-14, 2017 at the activity center of Ayala Malls South Park. For details, visit the official Facebook page Cosmic Con 2017. 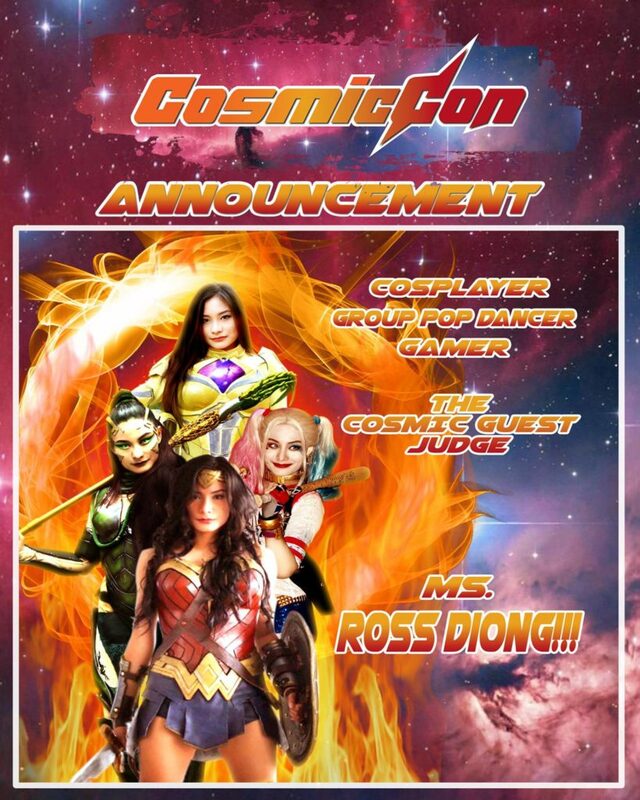 This entry was posted in Media Partnership and tagged cosmic con, cosplay competition, kpop competition, kpop pilipinas. Bookmark the permalink.